The World�s Finest caught up with Young Justice Producer Greg Weisman for an all-new interview to discuss not only the series finale of the acclaimed animated series, based on the popular DC Comics characters, but to also look back at the complex super-hero cartoon. Weisman dives into themes, characters, designations, casting and much more. 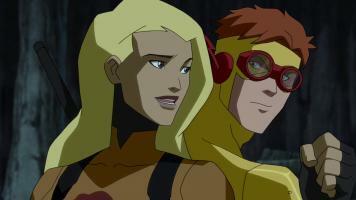 Young Justice airs Saturdays at 10:30am (ET/PT) as part of DC Nation on Cartoon Network! The series finale episode �Endgame� airs at 10:30am (ET/PT) on March 16th, 2013. Continue below for more. 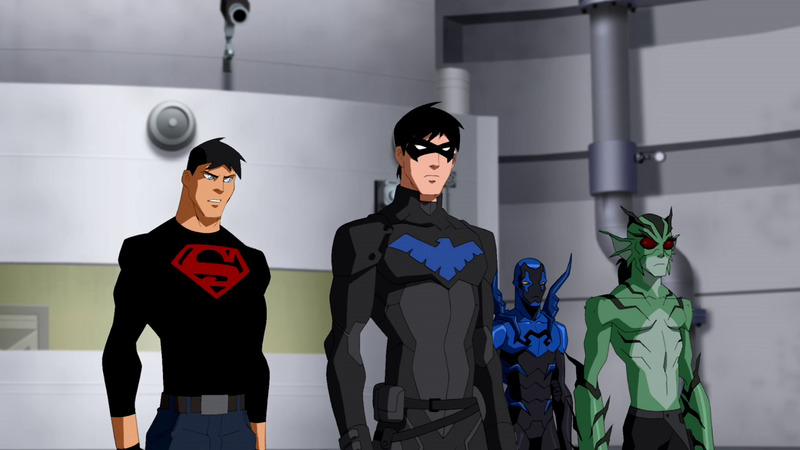 The World�s Finest: I personally believe that, even with the growth of the cast in the second season, Young Justice is still about the original core team introduced at the start of the first season. Would that be a correct statement to make? Greg Weisman: Not exactly. I would say that the original core Team was more of a priority than some of the new characters. But fundamentally the second season was plot-driven. I don't think we sacrificed character, but characterization would have to come on the fly in service of the larger story. Season One was about us weaving a tapestry to introduce world, characters, conflicts, etc. Season Two had a single driving story (on multiple fronts) and the characters that have been emphasized - or at any rate received the most screen time - were the ones that the story required. So early in Season Two, you see more of Superboy - but less of him in the second half. On the other hand, Artemis barely appeared in the first half-dozen episodes, but her role became quite important, starting in episode 207 and forward. Blue Beetle, as a creation of the Reach, was obviously going to increase in importance as the season progressed and more and more of that connection and its accompanying dilemma were revealed. And because we only had 20 episodes in Season Two, rather than the 26 we had in Season One, I think it's fair to say that certain characters got shorter shrift than others. But the goal was never to give everyone equal time, but rather to make the most of what time we had to offer. I suppose one could make the argument that certain characters didn't need to appear at all, i.e. the fewer the characters, the more screen time there would be for those that made the cut. But (a) I'm not sure the audience would all agree on exactly who should make that cut, and (b) we had fun with every single character for as much or as little time as we could afford to give them. (I wouldn't choose to cut Wonder Girl just because her only big episode was "Beneath".) So instead, we just tried to be true to our continuity and introduce the characters that we felt would be there five years on. If some of those Freshmen - and even some of our Juniors and Seniors - didn't receive equal time with everyone else, I can live with that. WF: How did the second season expand on the journey and story of the original team? GW: I like to think Season Two showed them all growing up. Physically, obviously, for all but Superboy. But also it showed them maturing. Taking on more responsibility. Making decisions - some right, some wrong, some debatable - that are more adult in nature. It seemed extremely important to [Producer Brandon Vietti] and myself, that in a show about coming of age that we got to see a few of the characters do just that. WF: Another question that many fans asked - What story ideas and characters did you toy around with for the third season (the rumored �Starfire� appearance, for example)? GW: Well, this interview is still going to hit the web before the last episode airs, so... SPOILER REQUEST. NO COMMENT. WF: It seemed like the first season was heading towards an invasion by Apokolips, but was seemingly abandoned in the second season for the Reach. Was Apokolips a red herring to throw fans off, to make the Reach a surprising threat, or did you decide it was a road traveled too often? Or... was it even considered at all? GW: Nothing was abandoned. We had a plan from day one on this series, and we've stuck with it. WF: What many fans enjoy about Earth-16 is the way Young Justice took all these classic characters and reworked their origins. These origin stories can range anywhere from overly complicated to just plain unbelievable in the main DC Comics. Were there any revisions you�re particularly proud of, or were hard to pull off? Was there any push-back from the network and/or DC Comics with some of these changes? GW: I like a lot of the tweaks we made to the origins, either on the television series or in the companion comic. I'm particularly fond of how we dovetailed the origins of Miss Martian and Beast Boy, and although the audience hasn't seen or read their entire story yet, I think it's fun and cohesive and feels right. As for DC Comics & Cartoon Network, they have both been great creative partners on the show. 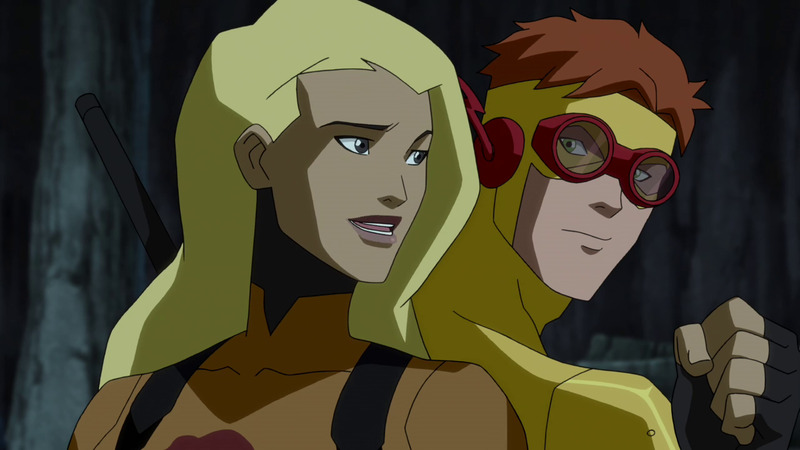 WF: You've said before the theme of Young Justice is "secrets and lies". During �Invasion�, we've seen some members of the original team graduate from concealing their insecurities to hiding truths from each other and even conspiracies amongst themselves, seemingly in contrast to the Justice League. How do you view the way the original team members have grown up, and what type of lessons do you think can be taken from the �secrets and lies� seen throughout the series? GW: I think they've grown up in a dangerous business, and it's infected who they are and how they deal with even their best friends like a disease. I think we've demonstrated over and over that secrets almost always come out. Lies almost always are exposed. But that doesn't mean they don't have uses. The fact is, if you're going on a covert op, it makes sense to tell as few people as possible, to limit one's exposure, so to speak. But that needs to be balanced with other factors. Still, in everyday life, it seems pretty clear that honesty is the best policy. Anything else is just too darned... exhausting. WF: A �fill-in-the-blank� question � Could you reveal who the Team members who joined and left during the five- year gap were (other than the ones already known: Tempest, Aquagirl and Jason Todd)? 27 - SPOILER REQUEST. NO COMMENT. 28 - SPOILER REQUEST. NO COMMENT. A06 - SPOILER REQUEST. NO COMMENT. A07 - SPOILER REQUEST. NO COMMENT. A08 - SPOILER REQUEST. NO COMMENT. A09 - SPOILER REQUEST. NO COMMENT. B26 - SPOILER REQUEST. NO COMMENT. WF: We've gotten little hints of events from Year One and Year Four, from the comic and from what we�ll uncover in the �Legacy� game. Was there any outline of this happened in these years when season two was in production or are they left for the most part open-ended? Is it possible to share some of the secrets from the five-year gap? GW: I don't want to make it sound like every detail is nailed down, but in fact we did have a strong outline of what took place during the gap. WF: Some of the voice talent names are surprising ("Winnie Cooper" as Miss Martian). How did you make the casting decisions for the voices? Was there anyone you asked for specifically? GW: As I think we've stated before, Brandon Vietti, Jamie Thomason and myself held first season auditions for Robin, Aqualad, Kid Flash, Miss Martian, Artemis and Superboy/Superman. All other first season parts we cast, sometimes using actors who were already in the series. Sometimes bringing in guest stars. Sometimes going for a little stunt casting - though never at the expense of the character. Second season, had a lot of our "new" characters already cast during Season One, including Lagoon Boy and Beast Boy, Bumblebee and Guardian, Batgirl and Arsenal, etc. But we did hold auditions for Robin, Wonder Girl, Blue Beetle, Impulse and Virgil Hawkins. And after that, we cast all other roles. Often Brandon and I would just brainstorm possible actors with Jamie, until we netted that magic combination of the right actor for the right part, available to perform at the right time. WF: Ultimately, what is the one thing above all else that you hope viewers will take away from Young Justice overall? GW: SPOILER REQUEST. NO COMMENT. Kidding, kidding. Mostly, I just hope that the characters meant something to them. That they felt real. Not perfect. Real. 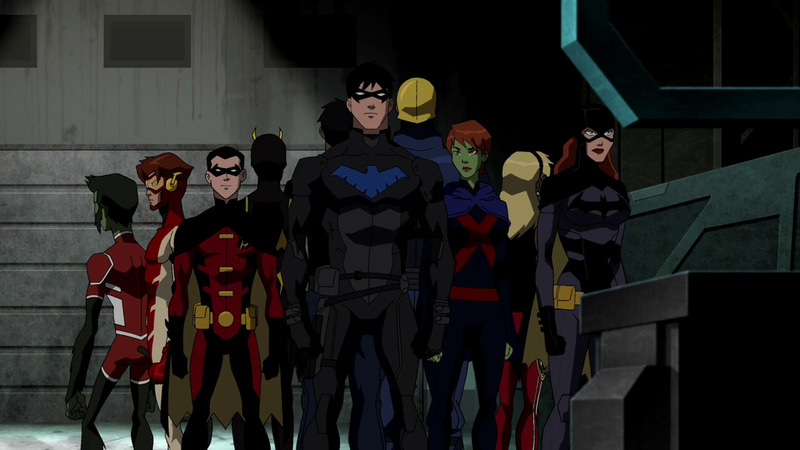 WF: Any final thoughts on Young Justice? WF: And where can we expect to see your work next? GW: I've written a few freelance episodes for series including Kaijudo, Transformers Prime, Rescue Bots, Beware the Batman and Octonauts. But the main thing keeping me busy these days is a series of novels I'm working on. The first, RAIN OF THE GHOSTS, comes out on December 3rd, 2013 and is already available for pre-order on Amazon and etc. "Young Justice" airs Saturdays at 10:30am (ET/PT) as part of DC Nation on Cartoon Network! The series finale episode "Endgame" airs at 10:30am (ET/PT) on March 16th, 2013.